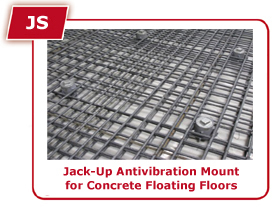 Jack-up anti-vibration mount for concrete floating floors. 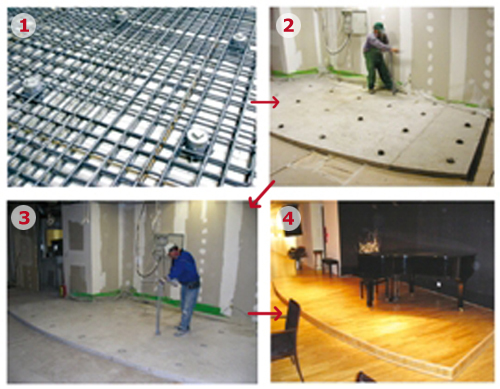 Ideal for floating floor in studios and very sensitive mechanical applications. 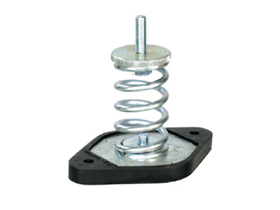 Anti-vibration jack-up spring mount Vibro-JS is an advanced vibration control system for raised concrete floating floors. 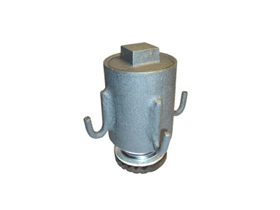 Vibro-JS consists of a metal shell. Inside the shell a spring is placed, to absorb the vibrations. The poured concrete does not touch the supporting floor and so the sound bridge between the floating and the supporting floor is avoided. Its very easy to install, allows regulation of height and helps to avoid the use of remaining plywood forms. It also creates an air gap, which is beneficial for the sound insulation and the vibration control. Place a polyethylene sheet under and round all the surface of the concrete floating floor. Place the antivibration mount Vibro – JS. and its cover plate. 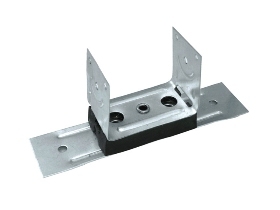 Using the special tool (included in every order), screw progressively and uniformly the nut of the elevation mechanism, in order to load the springs and raise – regulate the concrete slab at the appropriate height. 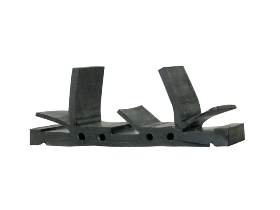 Contact us for more applications and dynamic characteristics. 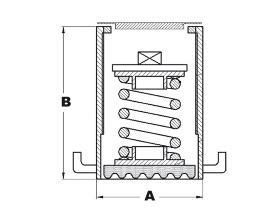 Antivibration supports for: Air-compressors, air conditioning units, pumps, fans, generator sets, cutting machine and more. 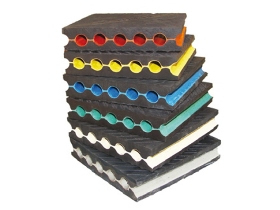 Vibro-EP is the result of specialized research and is produced in this form since 1989, made from elastomeric material mixed with special substances for its further improvement. Its longitudinal holes increase the provided compression and improve vibration absorption. 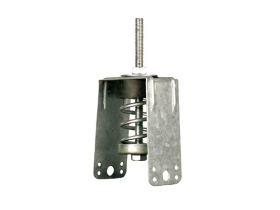 Spring hanger for false-ceiling that offers a very low natural frequency. Can be used in several applications like cinemas,studios theaters etc. Antivibration supports for gypsumboard partitions. It can be used in recording or rehearsal studio applications, or wherever a floating wall is required. Ideal for: Impact noise reduction, wooden floors and improved sound insulation of light partitions. 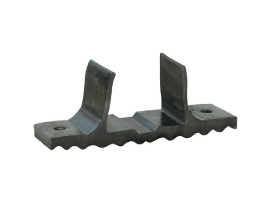 Can be used in domestic or commercial applications. Impact noise reduction for timber wooden floors. It is primarily used in gymnasiums, dancing halls, basketball courts but can also be used in domestic applications.